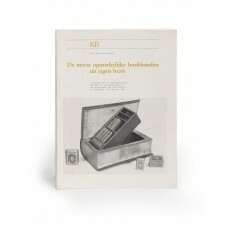 (27.5 cm), 171 (1) pp., illustrations. Publisher’s printed wrappers. 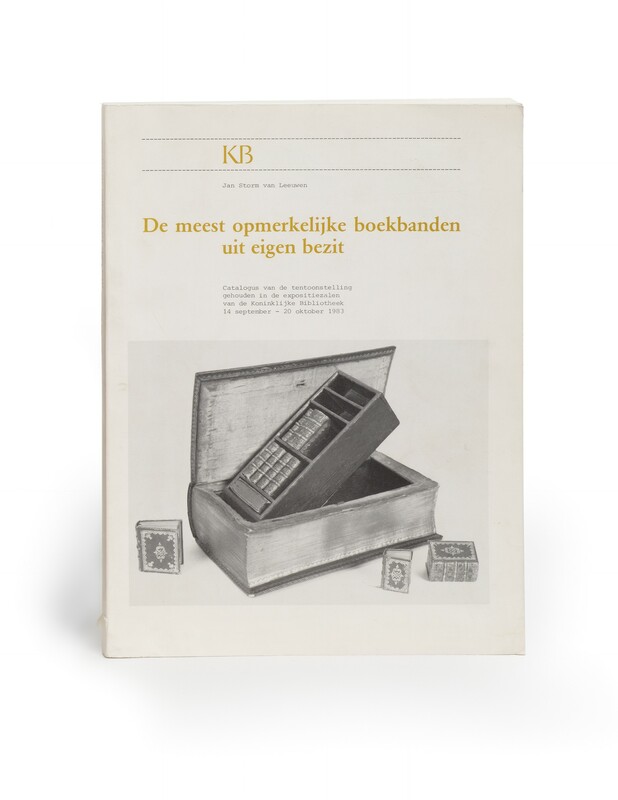 - Exhibition catalogue of “the most remarkable” European bookbindings from the collections of the Koninklijke Bibliotheek (169 catalogue entries). The bindings were chosen on account of their quality, or to represent an unusual material (textiles, tortoise shell, sharkskin, etc), and presented in chronological order (from the 12th century to recent times). “There were also certain curios such as a binding which does not appear to contain a book but, when opened, has a revolving bookshelf full of miniature books, or a box which looks like a bookbinding” (from a notice in Quaerendo, volume 15, 1985, p.320). Schmidt-Künsemüller 1017. ¶ Very good copy.